Web Design, Hosting, SEO, Social Media, Advertising, and More! Our professional designers will help create any graphics that you need- from logos to advertisements. Get an amazing modern website, built to meet your needs. Secure, mobile-friendly, beautiful. By building out a landing page, you can not only increase conversions, but increase ad score relevance decreasing costs. From SEO to Social Media, we can piece together the components for your online success. Choose from three options of success packages to get the products your business needs. Paid Advertising is an opportunity to get in front of your customers right away. Place your digital advertisements in the place that will reach your target audience: social media. Video Advertising is an important component of having a fantastic marketing presence. We can manage your Re-Marketing, Pay-Per-Click, or Display Marketing campaigns. Reputation Management is growing in importance. Stay ahead of the trend. Easily manage your business's reviews by sending direct links to customers for reviews. Your business's reputations is critical online. We can help manage the reviews you receive and improve your standings. Get and keep your website online. 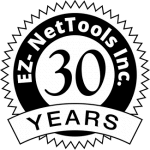 The original EZ-NetTools system including EZ-PageBuilder, EZ-Catalog, and a myriad of other tools. Use our secure and reliable hosting services so that your website can run on a state-of-the-art service. Improve your performance to grow your return on investment. Work with our staff to improve your internet marketing strategy. Improve your ROI with our services. Determine return on investment for your marketing campaigns. Let our specialists show you how to utilize Google Analytics for your business all on your own. Our other services can meet your various needs. Connect to your customers and potential leads with email- a powerful and important tool. EZ-Webinar Services help you connect with your customers and add value to your company. If you want to manage your own social media, but you need help starting out, this product is perfect for you! Getting your business on Google is becoming essential. We use search terms to get your business found. Make your old website mobile-friendly for $12/month. We design premium custom websites, including: e-commerce, blogs, kiosks, and all types of small business websites. We also do marketing, social media management, and search engine optimization.